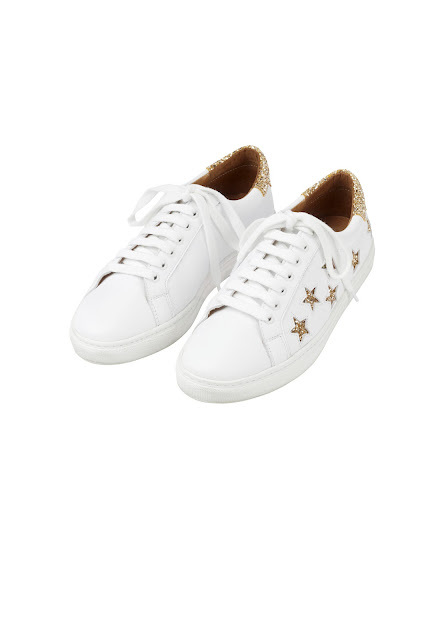 After the pop up at home last week, I treated myself to a pair of the Air & Grace flutter trainers (£149). As I think I've mentioned before, I've worn holes in my Adidas Superstars and I feel a bit scruffy in them now, especially when I'm working. But I do need comfortable flats for the days that I'm personal styling for five or six hours at a time. The great thing about this new style is that Claire has designed them to be neater around the ankle, with less padding than her other styles of trainers - which I also love. In fact I can't wait for next years' Spring collection - but that's another story. Anyway, back to the flutter trainers - they are a little bit more like a cross between a trainer and a shoe and I have to say, since buying them, I've hardly taken them off. 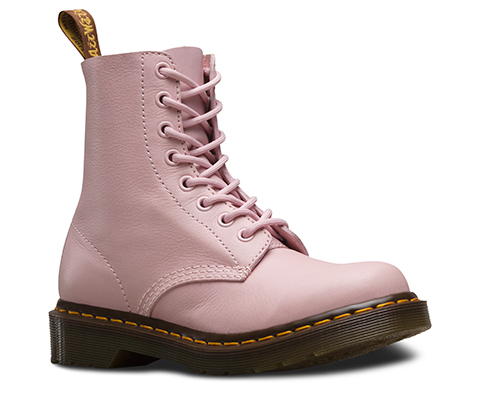 I'm wearing the pink leather but they also come in navy metallic leather, white leather and I think that the grey ones are due to arrive soon. As well as the trainers that I'm wearing, I wanted to mention the style of skirt that I'm wearing too, which seems to be gaining in popularity. Mine is a couple of years old now and is from Zara but there's this M&S checked skirt (£39.50) which ticks the "front split pencil skirt" and the "checked" boxes at the same time. Skirts in my view can be funny old things. 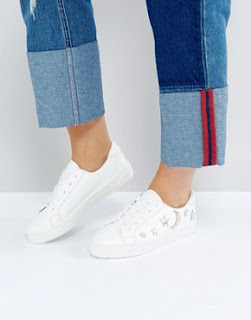 For a start they require a top to go with them and said top has to really work to keep the proportions right - unlike with jeans or plainish trousers where it is possible to wing it a bit more. Also a skirt and a top can feel a bit too much like an "outfit" at times - so there's the danger of feeling overdressed. And finding a great style skirt can also be tricky. Dark pencil skirts can be quite work like, pleated skirts I love but they're not for everyone, A-line skirts can be a little bit blah at times. But that's just my view on them! This style though I really like. Maybe it's because we haven't seen a lot of them for a while and they feel quite new and fresh and they don't have any kind of connotations associated with them - school/work etc. 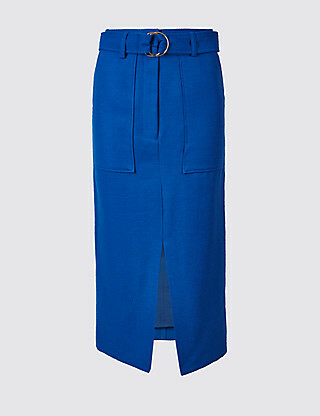 I love the colour of this M&S cobalt blue pencil skirt (£35). It also comes in a cream colour (described as neutral on the site) which is reminiscent of Andie MacDowell in Four Weddings and a Funeral. 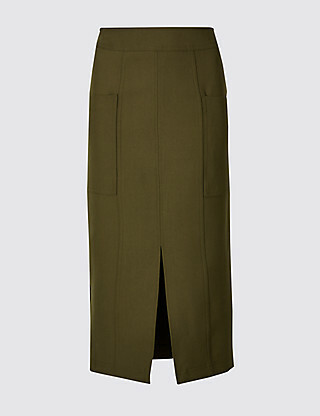 And then there's this front split patch pocket skirt in olive from M&S (£39.50) which also comes in black. Or for those who like something really bright, there's the tailored column pencil skirt in pink from ASOS (£30). And here's a final shot of the flutter trainers in all their gorgeous, comfortable, glory! The memory foam sole is just heaven to walk on and there's a slight angle in the sole so that they're not completely flat. Perfect if you have a slightly dodgy back! Seeing stars....but not in my eyes! It started with Phoebe Philo wearing Stan Smiths at Celine's A/W 2011 show in Paris. Since then, fashion has adopted trainers as its own. No longer are trainers worn just in the traditional "training sense", which for many has been a revelation. Whether it's a feminist take on fashion or just more of a practical take on fashion I don't know - but I love it. 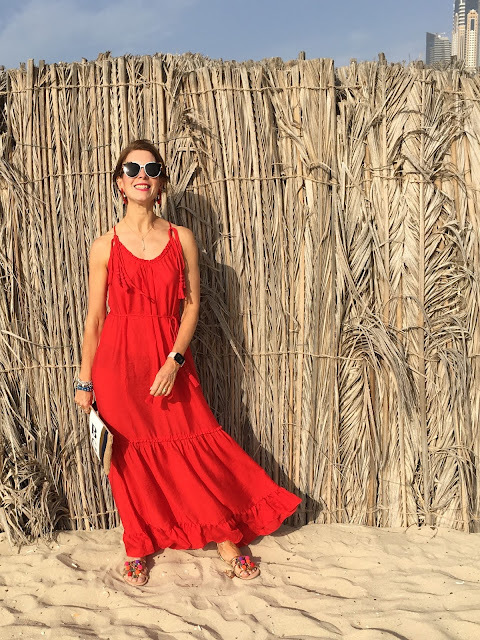 With a lacy dress, a pleated skirt, smart trousers, to a business meeting, on the red carpet or when heels just won't do - trainers can, do and will. Now, one thing that I really can justify buying is a new pair of trainers. My Adidas silver Superstars are probably the most featured footwear on my Instagram account and they are rarely far from my feet. My Fitbit tells me that I've walked miles and miles and miles in them - and the four holes that I have now worked into them is testament to that. Cost per wear - less than nothing. I saw these Star lace up sneakers in & Other Stories (£75) when I was in London earlier in the week. I'm not quite so sure about the multi-colours - the jury is still out - but they could be a contender. 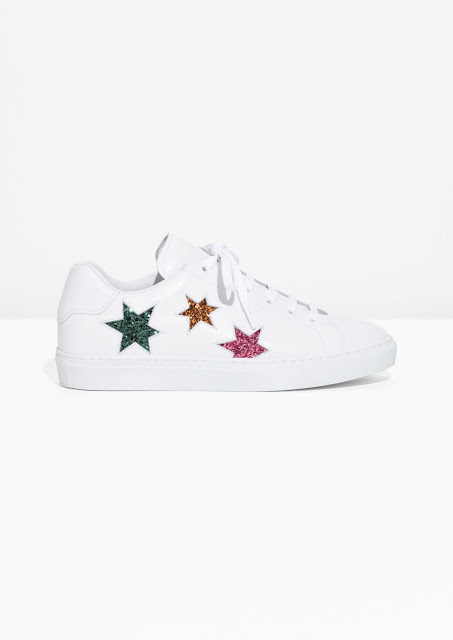 Russell & Bromley moodboard sneakers (£195) - not strictly stars in their own right but there's definitely a star presence. 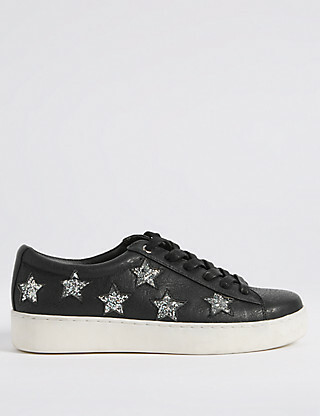 M&S star trainer (£29.50) - now I've already ordered these in the name of "research". 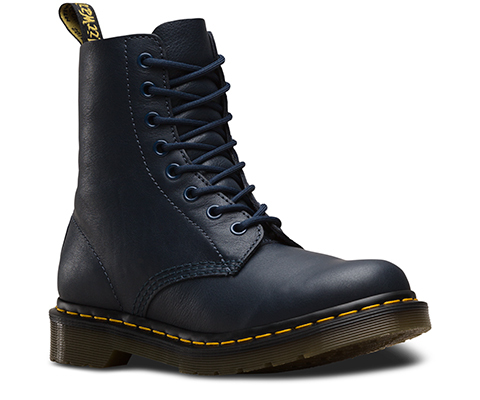 I really liked the white ones but they are out of stock. Black could be a little bit interesting. 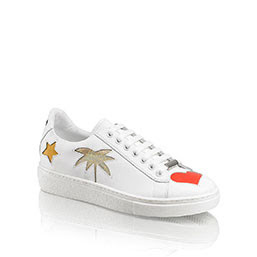 But I think that I might just still need some white ones too. 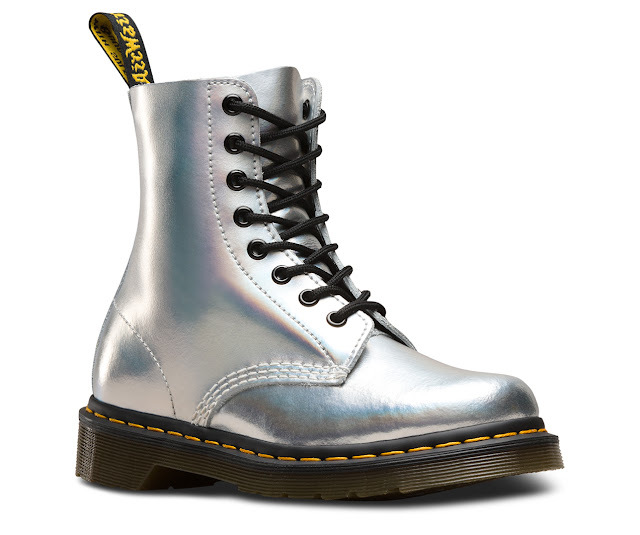 Oooh now aren't these snazzy? 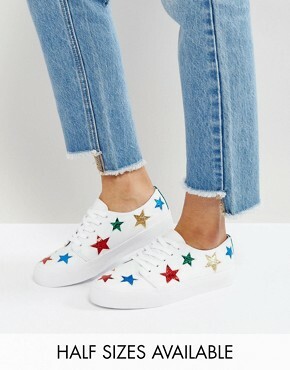 They're the ASOS Dawn Star Trainer (£25). They're not leather, which some may prefer and as it says on the image, half sizes are available which can make a huge difference comfort wise. 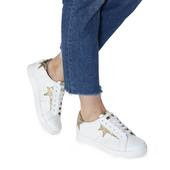 I would love to know if any of you have bought any star trainers recently and if so, what the comfort factor is like. And if you don't already have some, I would love to know which ones grab your attention. It might help me to decide which ones to go for! This is the ASOS maxi skirt (£35) which I blogged about a few posts back and which I decided to wear as a dress. It's been pretty handy since we've been out here on holiday. I've also worn the black one - in fact I'm wearing it as I sit and type this - which I'm doing just before my 250th game of UNO for the day. Luckily the sun is shining, the stash of inflatables is being added to at a vast rate of knots (we now have a unicorn, a flamingo, a doughnut, an inflatable bed and a pink rubber ring) and everyone is happy because we have Wifi and Netflix - which means I can't get people off the running machine as they've discovered the art of watching TV whilst running. We have been sampling the local culture too - particularly the delicious Greek food and local towns but if I'm honest, I'm happiest with my gorgeous hubby and kiddies playing in the pool. I hope that everyone is having a good week at home. I realise how annoyingly irritating it can be to read about other people's holidays, so for that I apologise. But I have to admit to being relieved that for once, we're not suffering Wales in the rain (which I've done many times with three squabbling young children over the years) so I hope that you will forgive me. A maxi skirt that's a dress - it just doesn't know it yet! I have a serious new love, in the form of ASOS. I know! How late to that particular party am I? The guests have literally packed up, gone home and had a two week holiday in the time its taken me to cotton on. But better late than never. I should add that it's not just for my benefit. No sireee. I have tried to get my husband some new Birkenstocks for our summer holiday because frankly the 12 year old ones are worn out. And whilst people may well have tried to steal his crocs on the beach in Cornwall a few years ago (I kid you not. Have you ever heard of anything more ridiculous?) they didn't have them in his size. Oddly the Carvela shoes I liked were available in my size. But I shall save that tale for another day. I am getting to the point, honestly, albeit via a de-tour to the moon and back. 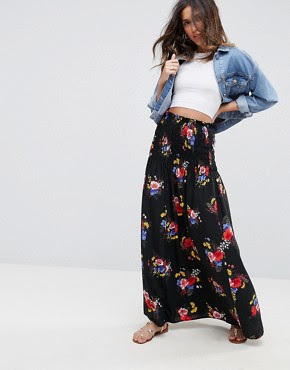 Whilst searching for maxi skirts, I came across these two beauties (above and below). I ordered the black one first, closely followed by the lighter version. But guess what? They look absolutely ridiculous on me as a skirt. A shirred ("smocked" to those of us who grew up in the 70's) waistband does not flatter a tummy that's had three babies. 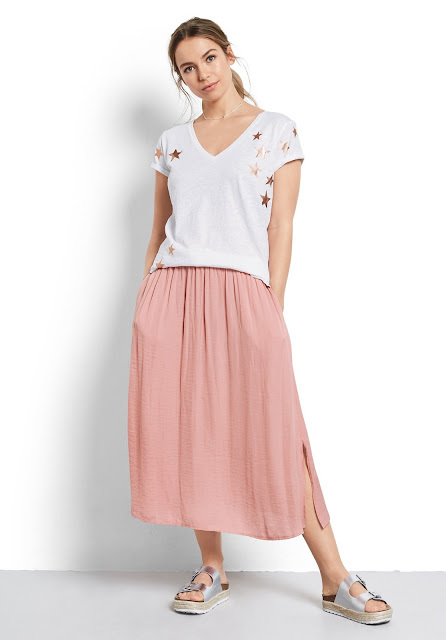 True a longer line top might work but really no-one wants a skirt that makes them look as if they're about to have a fourth baby. Soon. But hey presto, hoik them up under your armpits into an off-the-shoulder dress and they work a treat. They fit neatly over the bust and aren't too voluminous but there's enough room for anyone who wants to get themselves a little holiday baby belly. The black one that I ordered was a size 8 and the white one is a size 6 as that's all they had left. Both of them fit plus they're a nice fabric, they don't crease easily and they pack down small - which is good because our luggage amount will be limited. Photos will follow from a sunny isle sometime soon. Well actually no doubt it will rain when we get there because as a family, we have the capacity to make it rain anywhere we go. Who needs a rain dance? Just call the Goodrhams! Well if Boden send a £10 voucher through, it would be rude not to spend it wouldn't it? I love a bit of a frill sleeve and a few stripes - especially if they're navy and white - so I have high hopes for this little number. It is absolutely throwing it down cats and dogs outside but it seems that a lot of people are getting ready to go away and the excitement is palpable. It's another week before we head off to the sun but this year I'm determined that we will be packed a good few days in advance (famous last words). I'm going to start squirrelling the clean clothes away rather than distributing them to the family. Sneaky huh? Two of my two favourites coming together - Diet Coke and ASOS plus THE perfect gift! 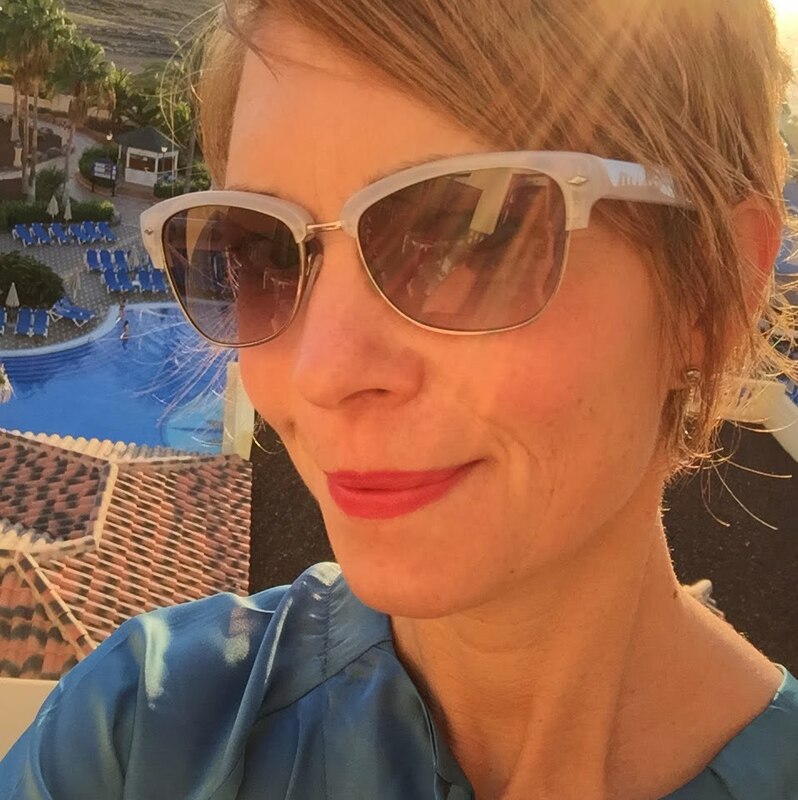 I'm on a list! Finally, I'm on a list! Actually I'm on a lot of lists, such as "the people who have been on a speed awareness course" list but this is a list that I really like being on. It's the Diet Coke bespoke gift pack, list. In all honesty, if the criteria for being on the list is how much Diet Coke a person drinks, then I think that I have earned my rightful place. Put it this way: if I was like a flamingo, and if my skin colour was the same as the colour of the food/drink that I consumed, I would be Diet Coke colour, which actually sounds quite appealing to me. To celebrate the launch of "Treasure Hunk", which is a collaboration between Diet Coke and ASOS, I was sent this fabulous personalised T-shirt that I'm wearing, together with a personalised crystal-encrusted Diet Coke bottle and a crystal ring- pull necklace. I love personalised things, from my "Bethy G" necklace from my friend, to my plastic "Elizabeth" bowl, which my eldest bought for me for 50p at a service station on her way back from a school trip a few weeks ago - I love them all. In a nutshell, Diet Coke and ASOS have collaborated and each day, ASOS will hide Diet Coke "Hunks" in unexpected places across the ASOS site. To find them you will have to crack clues given on the Diet Coke Facebook Page and ASOS.COM and put the answer into the ASOS search bar. If someone is logged into the ASOS site and finds the hunk, he will appear wearing a Diet Coke T-shirt with the customer's name on it. Ha, that could certainly brighten up a rainy day! Customers can win a host of prizes including limited edition personalised "Share a Diet Coke" bottles encrusted with crystals and customised ring-pull jewellery. However, the ultimate prize is a bespoke nine-carat, rose gold, diamond encrusted ring pull pendant worth £4,500 designed by award winning jeweller Katie Rowland. At the end of the six weeks, one winner will be chosen to win the necklace. So to those who enter, good luck! Oh, and to anyone at Diet Coke reading this, last year I promised my husband's PA that I would find her a bottle with her name on it (I tend to spend a lot of time rooting through fridges of Diet Coke bottles) but still I have failed to do so, if there's on with "Gaynor" on it, could you please point me in the right direction? Thanks ever so! 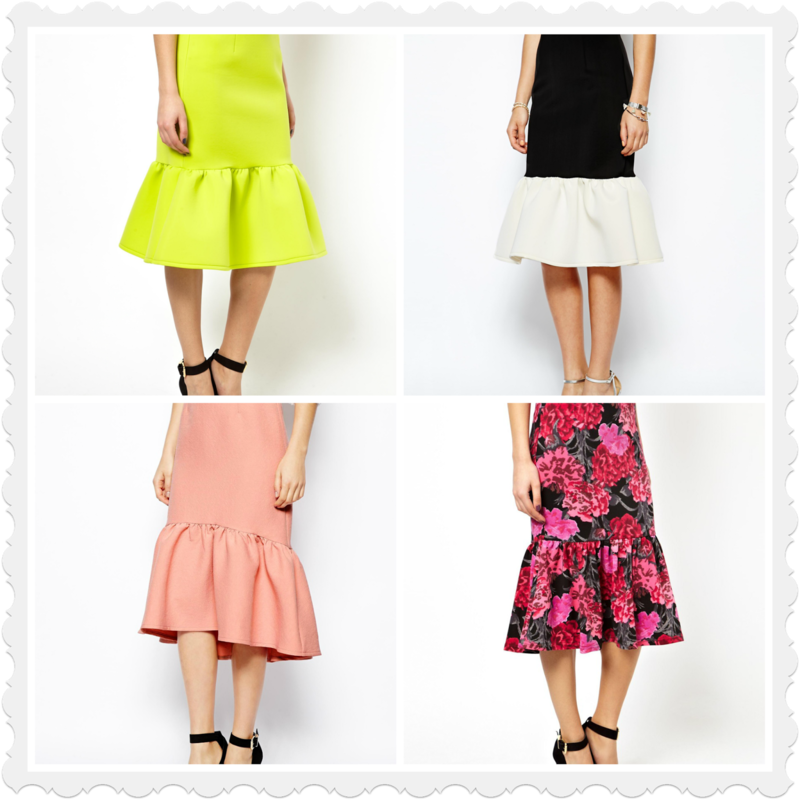 Would you wear a peplum skirt? If so ASOS is the place to go! I know, I really need to train the 6 year old on how to take photos with this iPhone. It's funny because with most technology she is away ahead of me - Netflix (I don't even know how to get it on), the iPad (she managed to rack up a bill of £25 the other day buy buying extra bits and bobs I didn't know about) and TV remotes she can work like a dream. I'm starting to smell a rat - and it smells of reluctance! Unlike peplum tops, I can get my head around these. I never saw the purpose of peplum tops (on me at least) - the peplum just looked too contrived and as if it would get in the way. Why it should be different with peplum skirts I have absolutely no idea because arguably I should view them in the same way, but for some reason I don't (not yet anyway)! This Whistles dress that I am wearing has a peplum skirt to it, although because it has a drop waist, it's not particularly fitted. 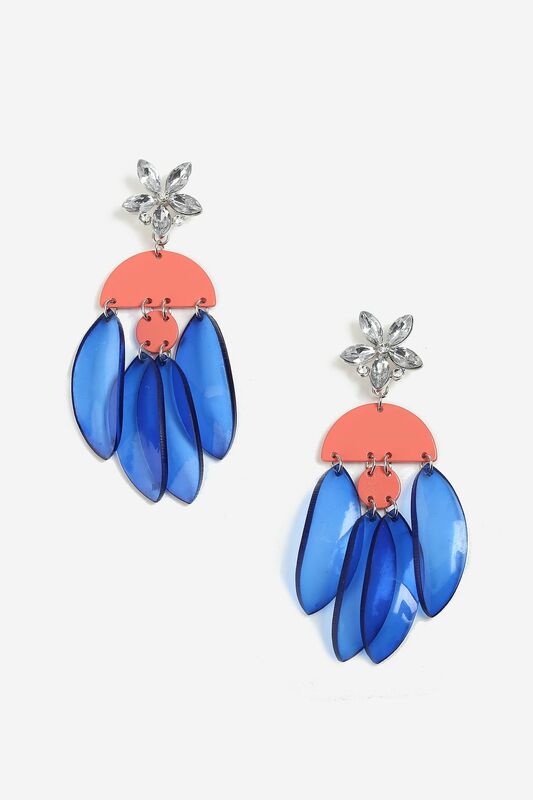 I haven't seen many in the stores as yet but ASOS has a great selection if you're tempted. The length can be tricky so bear in mind that heels and a fairly fitted top will be needed to get the proportions right. What do you think - tempted or not? !